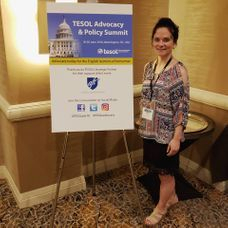 Maria Skowronski, WVTESOL Secretary, recently attended the TESOL Advocacy and Policy Summit in Alexandria, VA. 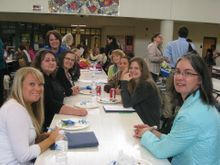 The summit, which hosts representatives from TESOL affiliates all over the country, took place on June 18th through 20th. 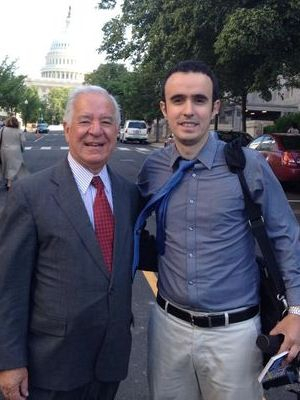 The annual gathering is for for educators to learn about U.S. federal education issues and advocate for policies that support English learners and the field of English language education. Have questions about the summit? Direct them to Maria at mskowron@shepherd.edu. 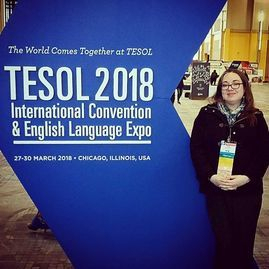 Erin Clemens, Past President of WVTESOL and current Executive Director of the West Virginia Literacy Coalition, represented the ESOL educators of West Virginia in Chicago when she attended the 2018 TESOL International Conference in Chicago. 2018 Spring Conference Attendees and Presenters: Thank you! 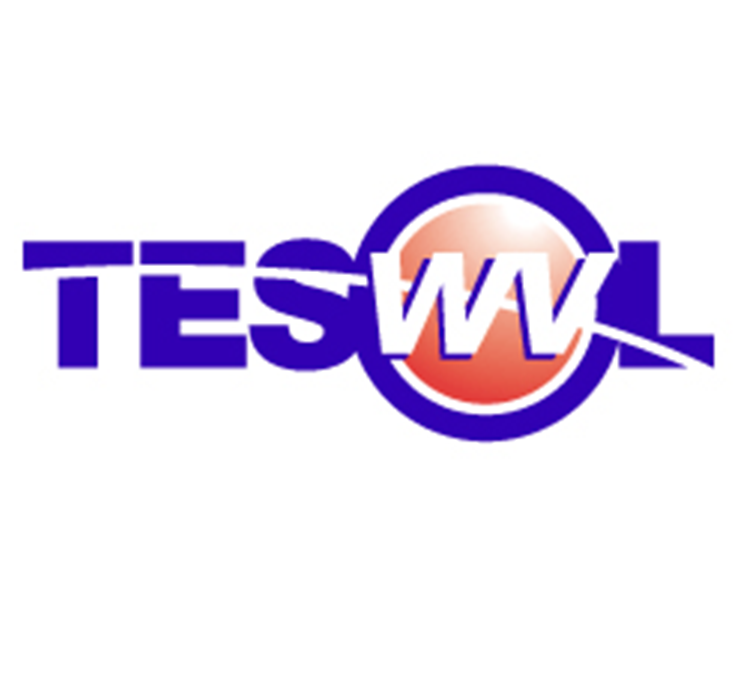 Thanks for helping to make WVTESOL 2018 a success! The past and present members of the Executive Board thank you for your time and energy! It was great to see everyone in Shepherdstown. You can see dozens of conference photos from 2018 and from past years in the photo gallery. 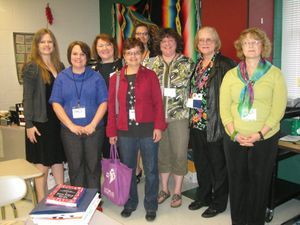 Have more conference photos to share? You can still submit them to leslie.mehle@k12.wv.us. See our Advocacy page for new resources. You'll find links to two new guides. Check out Expert Advice and Resources for Undocumented College Students and Students' Guide to DACA Phaseout along with other resources. See our Advocacy page for details and links. The American Immigration Council has many short fact sheets and other easy-to-use resources which can help you update your own knowledge of US immigration law/issues and help in explaining some of the complexities of US immigration that complicate the lives of so many of our students. See our Advocacy page for details and links. (October 7, 2017) TESOL released a new position statement on immigration policy and reform in the United States in September, 2017. The one page document is strong in its rejection of biased, punitive and fear-inducing policies and concise in listing policy recommendations which are "fair, equitable, and realistic solutions that treat all human beings with respect." The statement can be a powerful tool for WVTESOL members who want to prepare themselves and their students to advocate effectively, whether in a faculty room conversation with a colleague or in a more public way. Click here to read the statement. (March 9, 2017) West Virginia institutions of higher education enrolled thousands of international students during the 2015-2016 academic year for both short- and long-term study, bringing substantial but often under-recognized educational and economic benefits. West Virginia Teachers of English to Speakers of Other Languages (WVTESOL) is reaching out in an effort to better inform our state’s education and business leaders... Read the statement here. (January 19, 2017) More than one million international students from 175 countries attend colleges and universities in the United States, with over 100,000 of those attending short-term intensive English programs (IEPs). Read the statement here. West Virginia law and higher education policy bar discrimination on the basis of national origin in our colleges. We are proud that our state recognizes that promoting higher education and encouraging all students to strive for it benefits everyone. 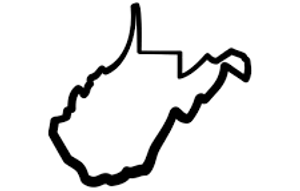 Unfortunately, WVTESOL has recently found that existing WV law and policies are not always followed, probably because some educators are unaware of WV law and policy regarding immigrant students who are not citizens or may not be lawful permanent residents. This includes students who have federal DACA (Deferred Action for Childhood Arrivals) status. Read more here. Please visit our Advocacy page to learn more about the rights of English Language Learners (ELLs), how schools can communicate with their parents/guardians, and the civil rights obligations of schools to ELLs. Please visit our Advocacy page to learn more about access to higher education for immigrant students, resources for educators advising those students, and obligations of school districts under federal law regarding such students.